There's nothing we love more than a lavish celebrity wedding, but when it comes to this fabled day, you can be sure that all eyes are permanently transfixed upon the bride and her dress. No garment quite garners as much attention as the celebrity wedding dress, which over the years has seen a select few brides really leave a lasting impression on the iconic white number. 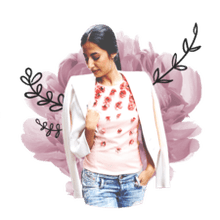 From lacy tulle creations to simple silk sheaths, flip through for some of the most famous celebrity looks to walk down the aisle. For her wedding to pro hockey player Mike Comrie, Duff went full-on dramatic in a strapless silk-organza Vera Wang gown with a sweeping mermaid-style skirt and her in a classic updo. Exactly one year later, Duff announced the couple was expecting their first child. Stefani's strong sense of personal style was out in full-force on her wedding day, with her custom dip-dyed Christian Dior gown. The silk-faille dress, created by John Galliano, even earned a place in the Victoria and Albert Design Museum in London. As the singer told Elle U.K. in April, "It's a work of art, it needed to be seen." Carolyn Bessette Kennedy will always be remembered for her understated, minimalist style, and her wedding gown was no exception. Her unadorned bias-cut silk sheath — designed by Narciso Rodriguez, who was then a virtually unknown upstart — set the bar for simple, elegant bridal wear. 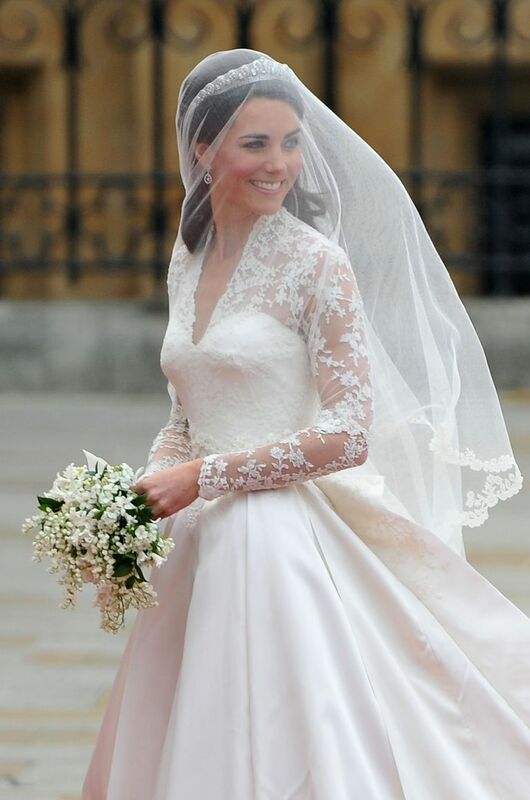 The whole world was watching as Kate Middleton married Prince William and, when the now-duchess made her breathtaking entrance in a custom Alexander McQueen gown, a new generation of the stylish royal was born. The dress, designed by Sarah Burton, featured a hand-cut lace bodice and a sweeping silk-gazar skirt. Like Kate Middleton, Richie's Marchesa gown was said to be inspired by Grace Kelly's. The resulting ballerina-like dress — perhaps it's no coincidence she walked up the aisle to dad Lionel's 1986 hit "Ballerina Girl" — featured a high-necked, lace bodice and a ball-gown skirt of silk organza. She's inspired countless brides over the years, but Grace Kelly remains the original. At the time, her nuptials to Prince Rainier were called "the wedding of the century." (So eagerly anticipated, in fact, a newsreel highlighting their fairytale romance was aired in theaters.) And that dress? Hollywood costume designer Helen Rose created a fitted bodice featuring century-old lace and embroidered with seed pearls, which gave way to a voluminous silk-taffeta skirt. Longtime couple de Rossi and Ellen DeGeneres both wore Zac Posen to their 2008 nuptials, but it was the actress's sweeping pink frock that stole the show. The halter gown, completely backless, exploded into yards of ballerina tulle for a princess-like effect. For her wedding to New York Observer publisher Jared Kushner, Trump asked Vera Wang to make her a dress fitting for an Orthodox Jewish ceremony. The designer obliged, and the resulting gown, with its lace bodice and full skirt, recalled the iconic one worn by Grace Kelly in 1956. For her Mediterranean ceremony, the then-pregnant Keys, carrying a cascading bouquet of purple calla lilies, opted for an airy, one-shouldered Grecian-inspired gown by Vera Wang and a simple jeweled crown. The quintessential New York couple escaped unwanted attention in their wedding wear: The bride went the nontraditional route with her ruffled black dress. A decade later, the actress expressed regret over her big-day attire, telling Harper's Bazaar, "I'm not kidding. White it up. I'd wear a beautiful, proper wedding dress like I should have worn on the day." Still, Parker's dark bridal gown helped cement her place as a Hollywood original. Who Is This Popular Designer of Celebrity Wedding Dresses?